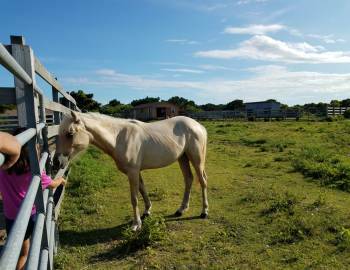 Ocracoke Island, one of the barrier islands of the Outer Banks, promises visitors a glimpse of true seclusion amidst rare beauty. Miles of unspoiled beaches and natural beauty surround our coastal village. Ocracoke Island can only be reached by one of three ferries, private boat, or private plane. 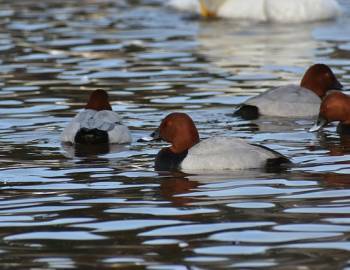 The wealth of indigenous wildlife and maritime forest as well as history makes Ocracoke such a treasure. We invite you to relax on the Pearl of the Outer Banks. On the southernmost island of the Outer Banks, you'll enjoy uncrowded beaches and pristine dunes from one of our Ocracoke vacation rentals. 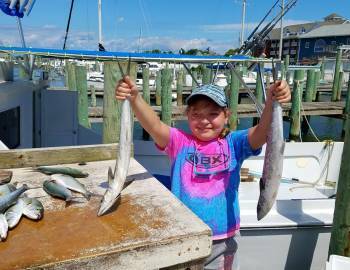 Browse the many events and things to do on Ocracoke Island, such as world-class sportfishing, boating, kayaking, and windsurfing. Dreaming of owning a home on the Island? View our Ocracoke Island Real Estate listings. Whether you're staying for a week or a lifetime, the experienced Ocracoke Island Realty team is here to help you enjoy all the Island has to offer. We’re very proud of Ocracoke’s section of the Cape Hatteras National Seashore. It’s one of the most pristine sections of coast on the entire Outer Banks. To help you plan a special trip, we’ve highlighted Ocracoke Island’s Cape Hatteras National Seashore Programs. 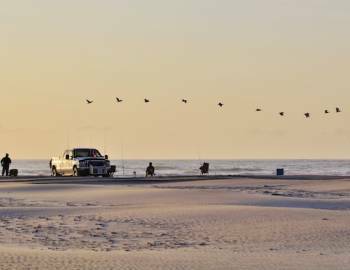 Beachcombing is a way of life on Ocracoke, and shelling, beach driving, and shore fishing are a fun part of every Ocracoke vacation. You can easily access the beach just outside of Ocracoke Village. Get Creative! 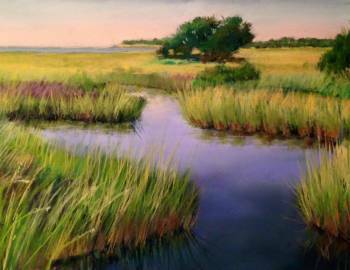 Bring your creative spirit to a pastel painting class on Ocracoke Island. Create your own unique work of art and bring a piece of Ocracoke home with you. 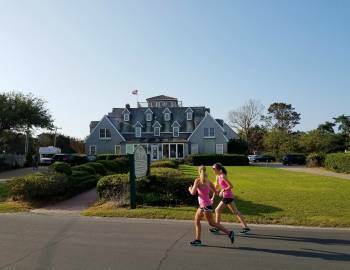 Join the fun for the 8th Annual Ocracoke Island 10K/5K on Saturday, April 27th. The annual race will include the 3rd Annual Half Marathon on Sunday, April 28th. Join the 2nd Annual Lt. Maynard’s Challenge, run both days! 77th Annual British Cemetery Ceremony and reception commemorates the sinking of the H.M.T. Bedfordshire off the coast in 1942. A Spring Break on Ocracoke Island is the perfect getaway after a long winter spent dreaming about the beach. 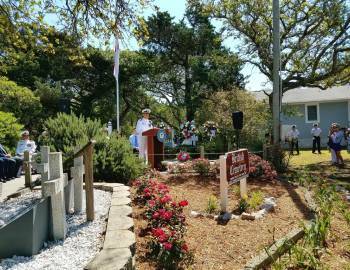 300th Anniversary of the Battle at Ocracoke - Remembering Lt. Maynard. 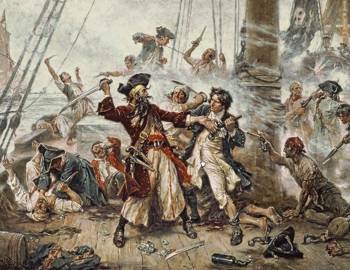 The Royal Navy, under the command of 1st Lt. Robert Maynard, defeated the pirate Blackbeard in the waters off Ocracoke Island.